When you decide to convert your main power source over to solar power you will need to make some adjustments to the appliances that carry the power source. When you use solar power to heat your water you may find that you will need to purchase a solar powered water heater in order to do that. You may be able to make adjustments to your existing one but what ever steps you take to turn it into solar power it will be worth it. There are several different ways to heat your water using solar power. You can even make your own solar power source. The water runs through pipes before it enters your home. Heating water using solar power will occur before the water gets into your home as it passes by the solar source that attracted the light. 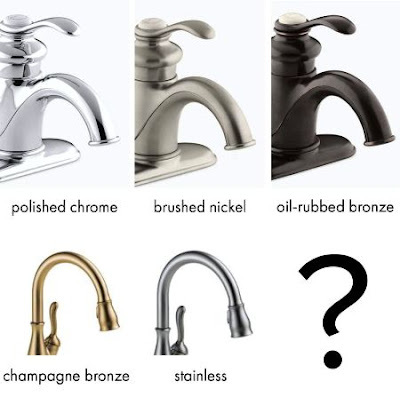 You may also have a tank to store the water in that can heat the water up. In order to heat your water successfully you will need to have both a solar collector and a storage tank. A flat plate collector is the most common collector. It is designed to be a thin, flat rectangular box that has a see through cover and it can carry fluid to be heated. This fluid could be the water or it may be a solution, such as antifreeze that will prevent the water from freezing. Next the water moves through the tubes to an absorber plate. This plate is painted black to attract and absorb the heat from the sun. When the collector gets hot, it will heat the fluid that passes through the tubes. As the water passes through the tubes it goes into the storage tank. The storage tank holds the heated water. It is usually well insulated so the water will stay warm longer. Then the water flows into the home on demand. 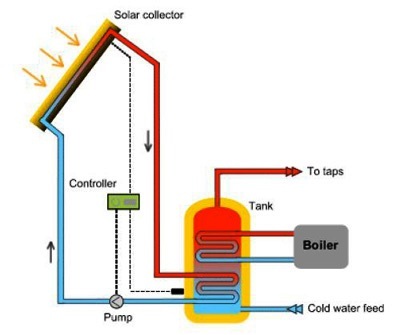 Solar water heating systems are divided into two groups: Active and passive. When the heating systems are active, that means that they rely on the pumps or other mechanical device that can move the water between the flat plate collector and the storage tank. Active is the most common because it is quicker and more efficient. The passive system relies on gravity to feed the water from the flat plate collector to the storage tank. This may be slow at times and may not be sufficient enough to keep up with the demand. Both ways are logical and may be more of a choice of preference for you. Another thought that you need to consider is that if your flat plate collector and your storage tank is not angled right it may be hard for the gravity to feed the liquid through. Heating water using solar power is very affordable and can be installed with minimal effort. Choosing to heat your water using solar power is a wise choice and a first step in making a choice to help preserve our environment. We know how easy it is to use solar power to do a lot of things, including heating our water.